‘Thank you, Margaret Thatcher’ – my Pioneer Interview with Gene Hettel | A balanced diet . . . The head of IRRI’s Communication and Publications Services (CPS), Gene Hettel, is compiling a set of Pioneer Interviews with IRRI staff, past and present. These have been published in IRRI’s in house magazine for the past decade, Rice Today. In addition he usually also makes a video. In mid-February 2010, just over two months before I retired from the institute, Gene and I found a time for my Pioneer Interview. 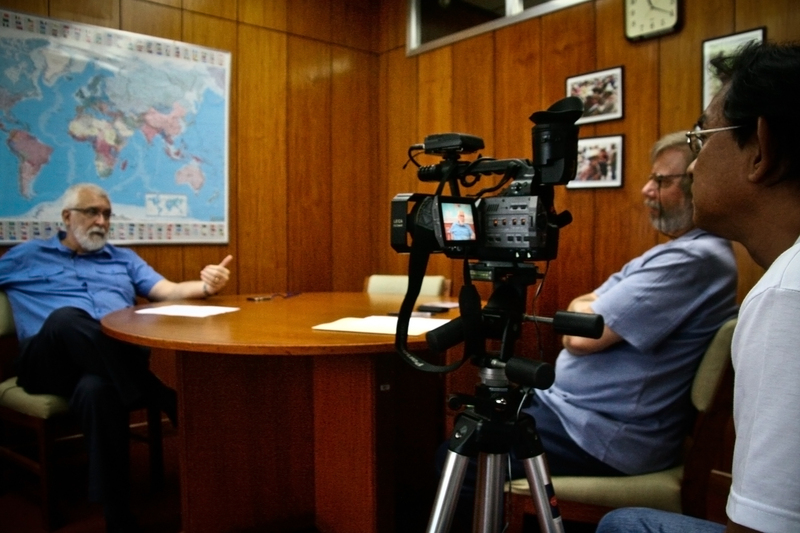 If you want to know about many of the things I did at IRRI, and elsewhere – and some of my opinions about international agricultural research and how it’s organized, then you can read the article on the website and watch the videos. This entry was posted in IRRI, People and tagged Birmingham, CIP, germplasm conservation, IRRI, South America, Southampton, travel. Your recollections are nicely put, interesting to me both as a then staff member of the Botany Dept. and as another native of The Queen of the Moorlands (used to visit the pub next door to a photography shop). I can provide amusing/informative background info on the origins of your Botany/Geography course, which may amuse you, and would be interested to compare notes. I know we had brief contact before, but would prefer to correspond by email.